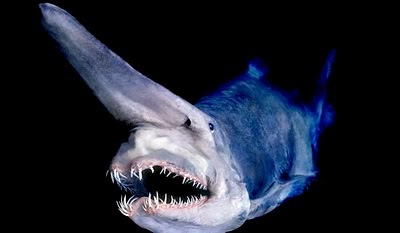 Meet Goblin Shark, a shark that is believed to have been existing since the dinosaur era. This shark can be found in the sea around Japan, Australia, western of Africa and Europe, and South America. The average length of this flabby shark is 3 meters. They live in the very deep ocean as deep as 1,300 meters below and eat little to medium sized fish by its extensible jaw. No response yet to "FACT: Goblin Shark can extend its jaw forward to catch prey"